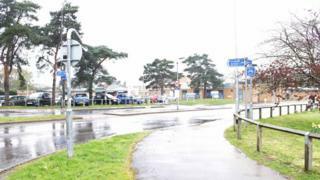 A nurse invited patients to vote on whether they would like to see a fight between two others on a mental health unit, a misconduct hearing has found. Steven Boyd used the "inappropriate de-escalation technique" while working at a mental health unit in King's Lynn, Norfolk, in July 2016. Then in 2017, he greeted a patient with a history of self-harm with "are you dead yet?" at a mental health centre. A Nursery and Midwifery Council panel imposed a 12-month conditions order. At the time of the first incident, Mr Boyd was working on the Churchill Ward at the Fermoy Unit, which housed acutely unwell patients, some of whom were detained under the Mental Health Act. On 8 July 2016, he asked other mental health patients to raise their hands to determine whether they wanted to see one patient attack another, a hearing was told. Mr Boyd, a nurse since 1999, described his method as "maverick" but said he would never do it again. Then while working at Cambian Willows in Wisbech, Cambridgeshire, the panel found he failed "to identify the clear risks posed by greeting a patient as they woke, with a history of self-harm, with the words 'are you dead yet?'" and said this failing "was of significant concern". A panel found Mr Boyd "acts impulsively and fails to fully consider the potential risks posed for how he interacted with these patients - a failing that the panel consider is not yet remediated". The hearing was told the since the allegations arose "Mr Boyd has made significant improvements in his nursing practice". The panel imposed conditions on Mr Boyd, including working more closely with his supervisors and creating a personal development plan. A spokesman for the Norfolk and Suffolk NHS Foundation Trust (NSFT), which runs the Fermoy Unit, said it "takes issues regarding the professional conduct of its staff very seriously". "Mr Boyd was employed by NSFT for approximately 18 months. He left employment following a disciplinary process and was referred to the Nursing and Midwifery Council."